Malaysia’s orangutans occur only on the island of Borneo, in the lowlands of the states of Sabah and Sarawak. In Sarawak, almost all orangutans are found in the Lanjak-Entimau Wildlife Sanctuary and Batang Ai National Park in the south next to West Kalimantan, Indonesia. 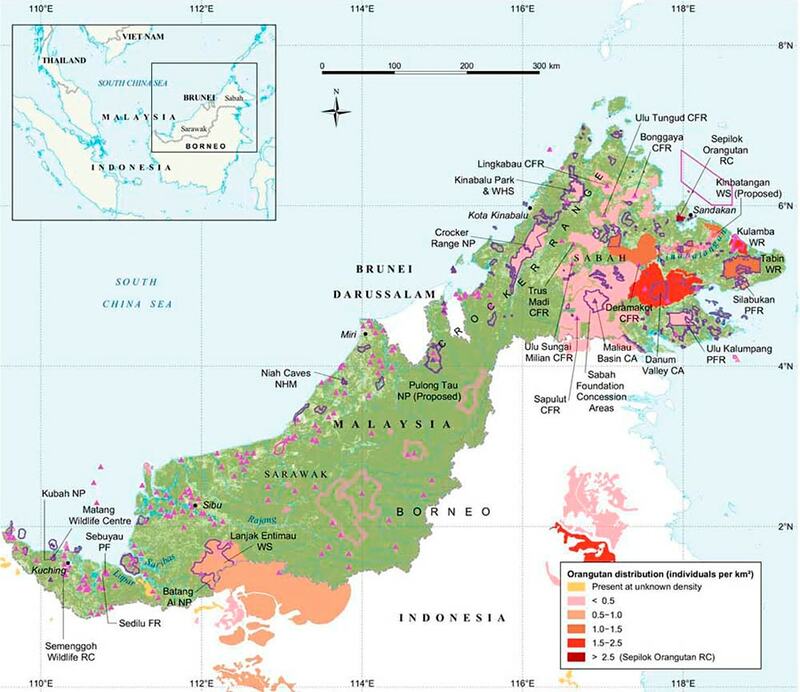 In Sabah, there were five main areas of special importance with a total of 20,000 orangutans in the mid-1980s. By 2004, the orangutan population in Sabah had dropped to about 11,000 individuals. This decline in the numbers over the last 20 years was caused by the loss of habitat through the conversion of forests to plantations in the eastern lowlands.